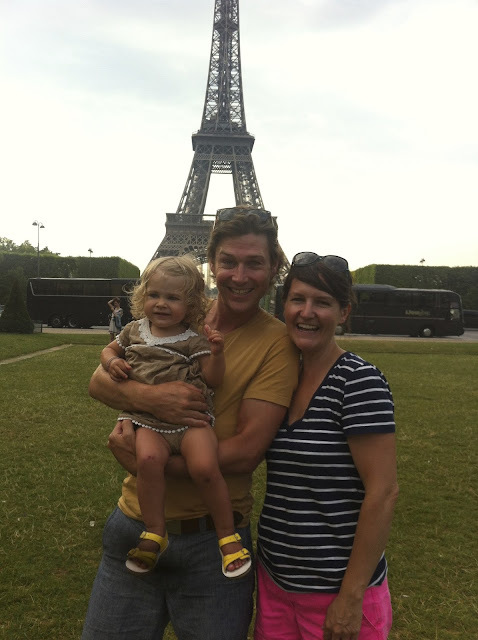 We had the most amazing trip to Paris at the end of July. It was sizzling hot, but we had the best time. I've actually been having magical Paris dreams ever since we got back. 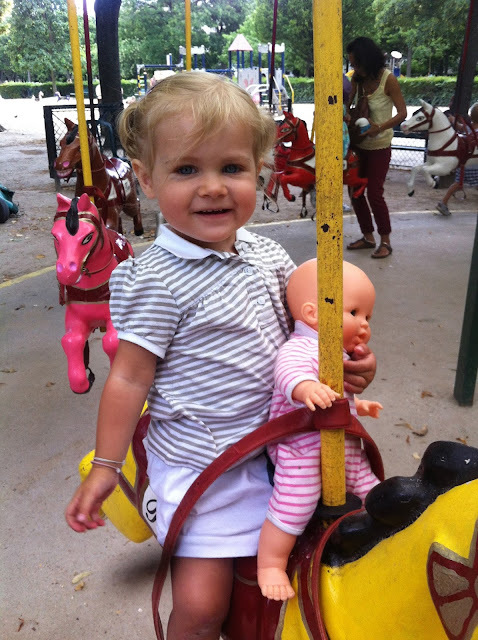 :) A big thank you to Paula and Baby, who sent Coco a lovely summer wardrobe in advance. She looked adorable the whole time. 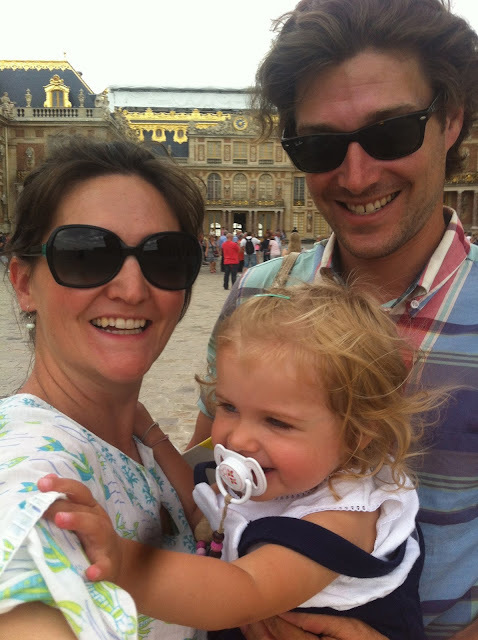 Keep reading to see all our photos and hear more about traveling in The City of Light with a toddler. 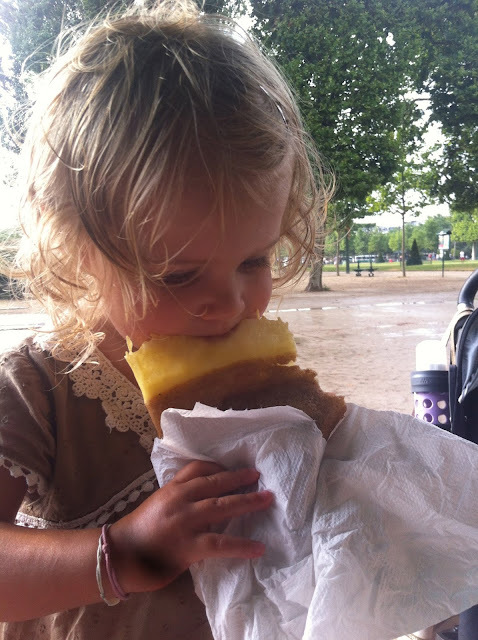 Our first night, we got checked into our Airbnb apartment and walked down to the Champs du Mars where Coco had her first crêpe. 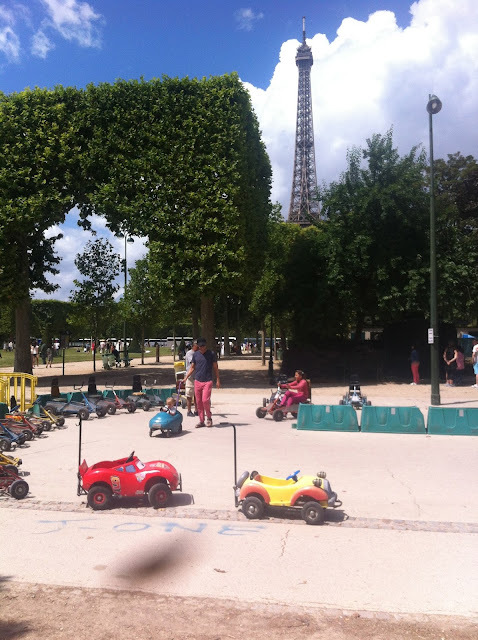 If you go to Paris with a toddler and a buggy, try to walk as much as possible. I think we walked at least 25 miles in the 5 days we were there. It's just so much easier, and more scenic, than the Metro. Major fail: I forgot our real camera while packing for Paris. That meant I only had my iPhone, which had a speck of dust stuck inside the lens. Seriously. Then my iPhone died while we were in line for the Eiffel Tower. C'est la vie! No photos from that toddler-chasing adventure, but it was lovely and we saw the sunset and then saw the tower sparkle from the second floor. Brilliant! Every time we passed it again on our trip, Coco said, "Eiffel Tower" and now anytime she sees a tower (say of blocks) or a crane, she calls out "Eiffel Tower" then too. Hilarious! See for yourself right here. The next day we went to the Musée d'Orsay. Coco was thrilled with all the art featuring breasts. (There was a lot of it.) She ran around the museum pointing and shouting, "That's milk!" and J and I were blown away by the Caillebotte. One of the days, we took a day trip to Versailles. I am in love with Sofia Coppola's Marie Antoinette movie. Have you seen it? It brought the place alive for us! 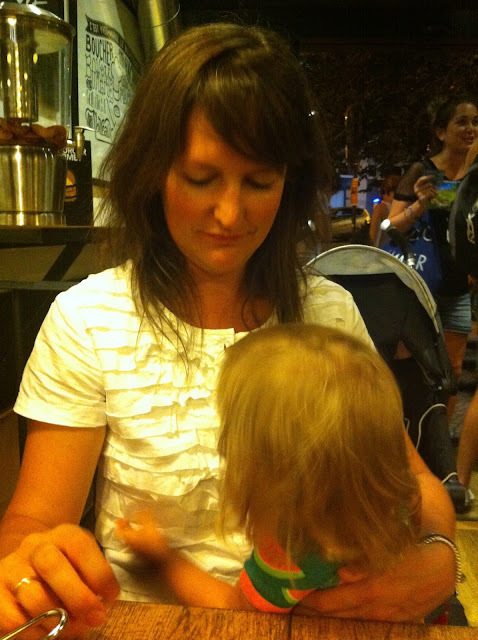 When we got back to Paris, we rallied despite the insane heatwave that was going on, showered, changed and headed back out again for dinner at Blend Burger, a super tiny hipster burger joint. 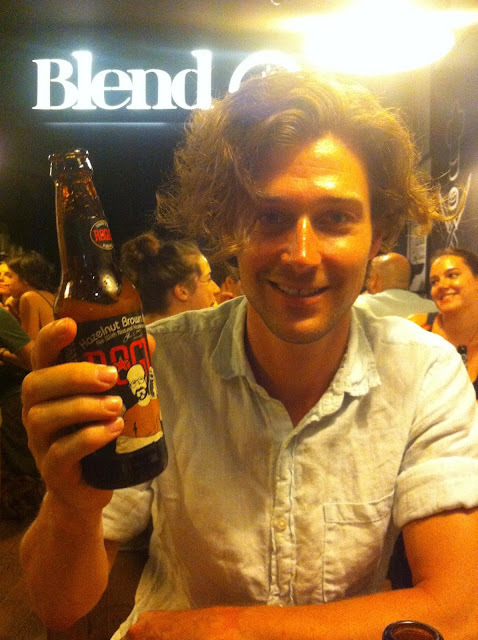 J was thrilled to have a cold Rogue beer (from Oregon:) all the way in Paris. Do you see how shiny and hot everyone is in that photo? Quelle chaleur! On our final day, our train didn't leave until dinnertime. We had spent the previous five days dragging Coco all over the place and making her spend way too much time in her buggy, so we made the day all about her. 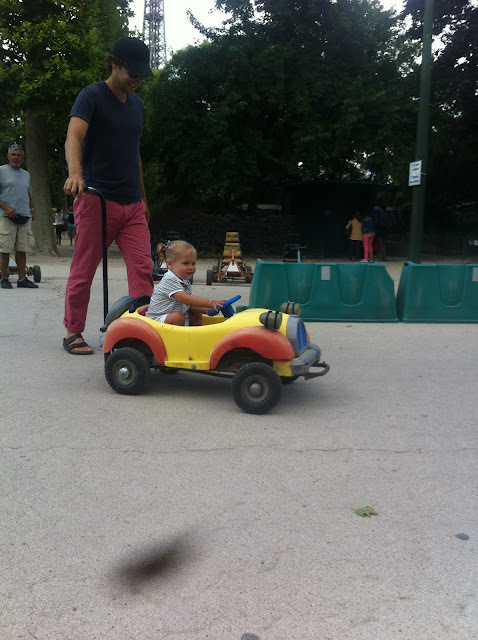 We took her to ride the little go-carts by the Eiffel Tower. 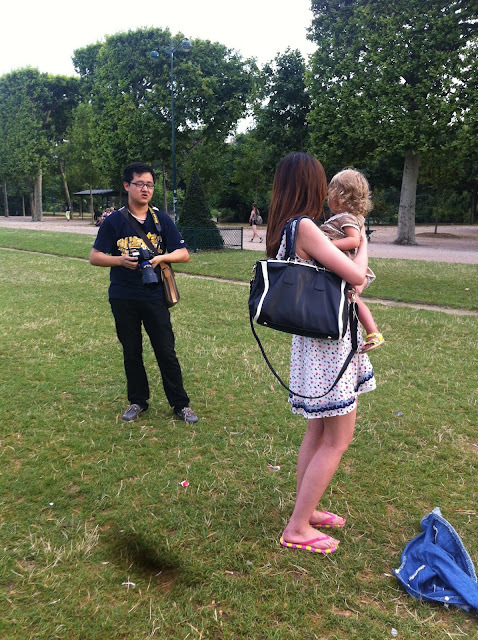 We took her photo in front of the Eiffel Tower. And we let her ride the carousel as much as she wanted. Then, much to our surprise, Coco fell asleep and we got to have a little lunch date, after all. :) We went to Charlie Birdy and the food was fabulous! 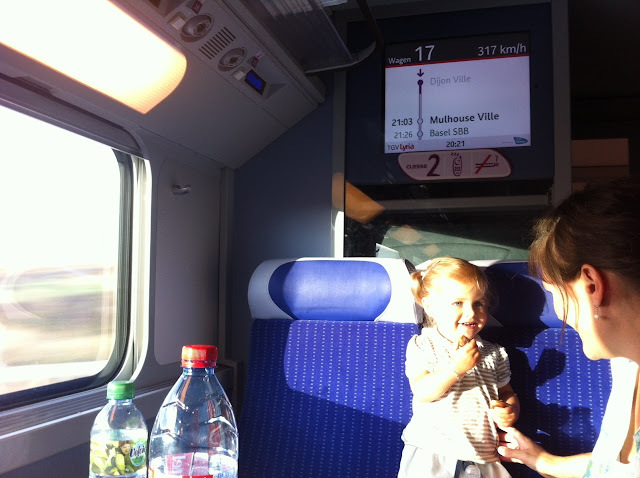 Then it was time to head back to Zurich on the TGV. Next time we go, I'm getting this book in advance. Oh, Paris, we love you! I really enjoyed these photos, thanks for sharing them! My family and I are currently in the process of planning a trip to Paris, so I have been helping them look for some Paris vacation rentals that are near some of the most famous locales. Where did you guys stay? Nicely clicked photos. Nice city you have chosen for vacation. Make your photo more beautiful by using image retouching company that will make your photo colorful.